Is your much-loved leather couch looking worse for wear? Don’t worry, repairing leather furniture is easier than you think. Just because your furniture is cracked, peeling, torn or coming apart at the seams, doesn’t mean you need to kick it to the kerb. You’d be surprised how easy it is to bring leather furniture back to life. Why break the bank buying new furniture, when you can give your old favourite a new lease on life? 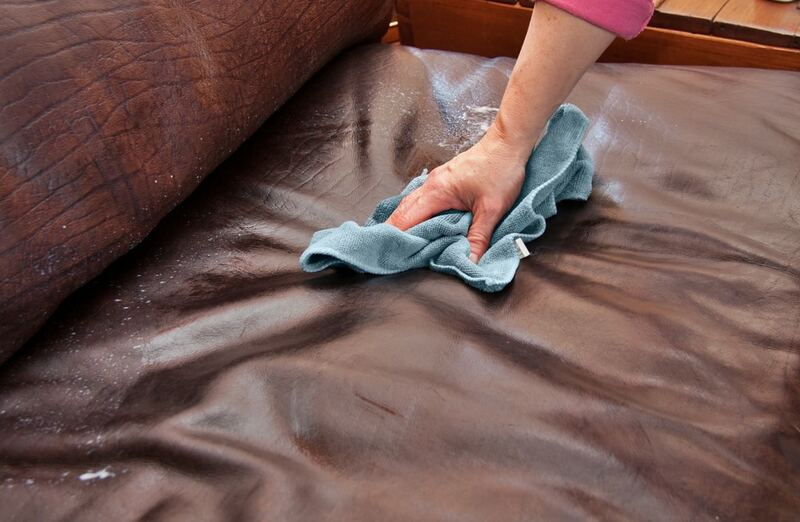 As careful as you may be at caring for and conditioning your leather furniture, general wear and tear happens. Leather can fade from sun and age, become stained, peel and deteriorate. If you add kids and pets into the mix, you’re bound to get scratches, cuts, tears or pen marks. When you notice signs of wear and tear on your couch, nip them in the bud and act quickly. Disrepair that is neglected will only worsen over time. Don’t let your couch go to wrack and ruin. Get onto leather furniture repair early and salvage your furniture before it’s too late. The degree of damage to your leather furniture and the type of leather it is made of will determine your best approach in repairing or restoring your furniture. If you’re uncertain which approach to take, contact your leather repair professional for advice. Be sure to always test any products or solutions on a small patch of your furniture, just in case they do more damage than good. So, what are the best methods for repairing leather furniture? Take a look at our top 5 recommendations. Minor scratches from pens, scissors, staples, cutlery or pets can be fixed easily enough with leather conditioner. All you need is a quality leather conditioner product, which you can buy from your local hardware or auto parts store, and a soft clean cloth. Apply the leather conditioner to your cloth and massage it into the damaged areas. Wipe away any excess conditioner with a clean cloth. If you prefer a natural method to store bought chemicals, olive oil, baby oil or lanolin can also do the trick in some cases. If you’re dealing with deep scratches or tears from an over-zealous pet, child or mishap with a sharp tool or scissors, contact your leather repair expert for advice. Dealing with something slightly bigger than surface scratches? Tears, punctures and holes can be repaired with a leather repair kit, if you know what you’re doing. Also found at your local hardware or auto parts store, these do-it-yourself kits contain everything you need to perform small to medium-sized repairs to your leather furniture. A standard kit will include cleaner, conditioner and colourant to allow you to match the colour of your repairs to your existing couch. Bear in mind that it can be tricky to achieve a seamless repair to deeply scratched, torn and punctured leather using a leather repair kit. With a multitude of kits on the market, you must do your research to find the right kit for you. When repairing leather furniture, there isn’t a one-size-fits-all fix. Only a leather repair expert with the skills, knowledge and expertise in repairing leather furniture will be able to guarantee you a flawless finish to your furniture repair job. Not bad with a needle and thread? Just because your couch has split its seams doesn’t mean it’s destined for the dump. Split seams are a common issue with leather furniture, whether it be a result of age, wear and tear, or kids using the couch as a trampoline. Before the split goes too far, and backing and foam is exposed, you can try your hand at mending your couch. If you’re lucky, you may even be able to follow the holes from the existing stitches. For stitching repairs, you will need to source a leather needle, thread and, on some occasions, glue. You can find these repair items at a hardware or auto parts store. When repairing tears and rips in your leather furniture, leather glue can be an effective and simple enough method to use. For small tears, you can simply apply the leather glue with a thin applicator, even a toothpick will do, before pinching the two sides of the tear together. Wipe away excess glue and add a leather colourant, if necessary. For holes and bigger tears, you will need to use a patch. Cut a piece of replacement leather, of the same colour and type as the existing leather, and glue into place. For a flawless finish to your bigger repair jobs, contact your leather repair expert. While some leather furniture repairs can be done yourself, it’s often a job best left to the experts. What may look like an easy fix can do more damage than good if you don’t know what you’re doing. When you engage a leather repair technician, you will be guaranteed a thorough diagnosis of your furniture issue and expert advice on how to fix it. Don’t take short cuts when repairing your leather furniture, you’ll only come to regret it. Poorly mended furniture doesn’t take much to tear or rip again, and it’s often worse the second time around. When repairing leather furniture, you need to keep in mind that not all leather furniture is the same. What works for repairing a tear in one couch, may not work for another. Your experienced leather repair expert not only has the skills, expertise and knowledge in repairing leather, but they have all the tools they need to repair your furniture as good as new. Save yourself the time and hassle of sourcing the right materials to repair your leather. Professional leather repair technicians have everything they need for repairing leather furniture in their well-equipped workshop. When it comes to repairing leather furniture, your best bet is to leave it to the experts. Contact the Lounge Repair Guys today to discuss your leather furniture repair needs.